Segment One: The guys return from the holiday break with plenty of offerings. Jason doles out presents, Marty day drinks, and TJ recaps a holiday road trip involving crappy food and awesome karaoke. Segment Two: FGS covers Bird Box challenge idiots, lusty cops, and a mugger who foolishly takes on an MMA fighter. HOT TAKES resumes death talk as we lose Mean Gene Okerlund, Super Dave Osborn, and The Captain. 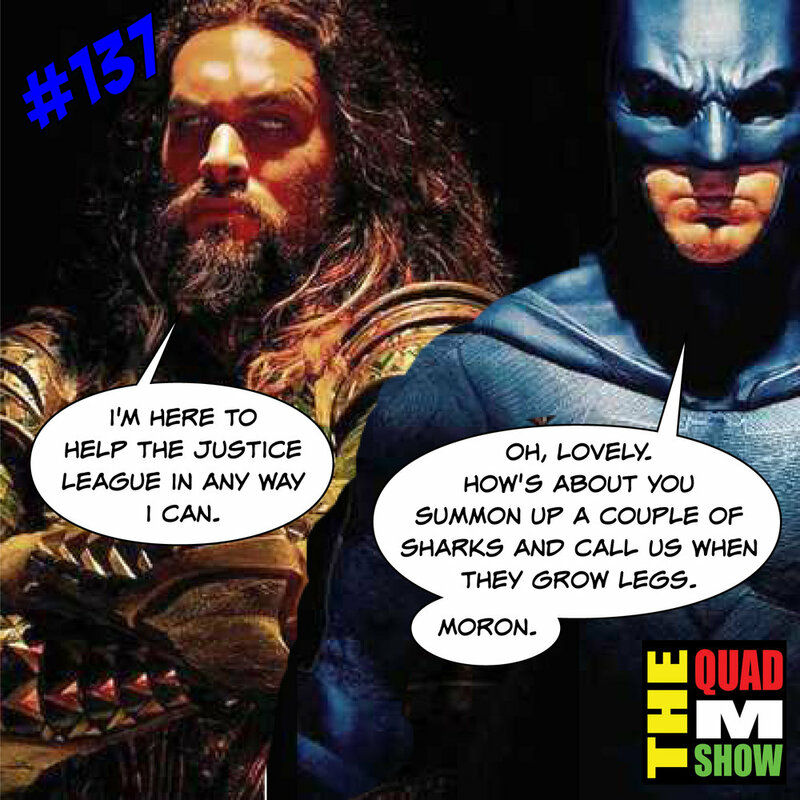 TJ and Jason give a review and thoughts on Aquaman, and the guys have fun with TJ’s new Echo Dot. Segment Three: REDDIT FUN looks at “How To Become An A$$#0le” Plus an update on the new show. Better late the never! It’s THE QUAD M SHOW! Posted on January 16, 2019 by Thomas Damon.